The Clan Donald’s (or Clan MacDonald) Scottish roots run deep – being the oldest and largest of all Scottish clans. For nearly 400 years, Clan Donald ruled the west highlands and the Hebrides – their land and power stretched so wide that it was only second to the Kings of Scotland and England. This gravitas gifted the Donald Clan Chief the title of Lord of the Isles (Triath nan Eilean or Rìgh Innse Gall in Scottish Gaelic). 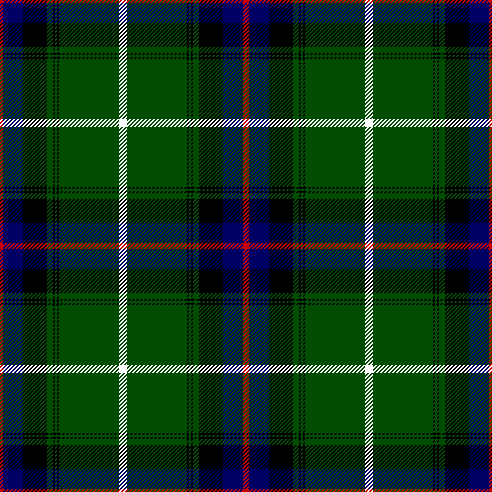 Clan Donald has over 40 tartans and many clan branches intricately connected to it. The clan’s eight main branches are: Antrim, Ardnamurchan, Clanranald, Duunyveg and the Glens, Glencoe, Glengarry, Keppoch and Sleat. The tartan pictured is named MacDonald of the Isles (MakDonnald of ye Ylis), and it was published in the Vestiarium Scoticum in 1842, a reproduction of a 15th-century manuscript that included the clan tartans of the main Scottish families. The clan crest was a symbol of allegiance used by members to show loyalty to their clan chief. The Donald crest depicts a small, simple crown with an armoured hand holding a cross. The clan motto “by sea and by land” acknowledges the clan’s island and seafaring roots and its mainland expansion goals. Clan Donald is a now global clan with ancient roots in the Western Highlands and Islands of Scotland and County Antrim of Northern Ireland. In the 1100s, the warrior Somerled secured dominion over the Western Isles for Clan Donald. A century later, their lands grew when Robert the Bruce granted Clan Donald more territory on the mainland including Lochaber and Glencoe. In the 1330s, its territory would expand further to Skye and Lewis. While the clan’s two island castles mostly lie in varied states of decline now, these victims to time and politics still remain impressive reminders of Clan Donald’s power. The ancient seat of Clan Donald is Finlaggan Castle and is often referred to as the Cradle of Clan Donald. It was the home of the clan lords. The castle’s surroundings are striking, protected by Loch Finlaggan and perched on the isle of Eilean Mór. Once the Lord of the Isles’ stronghold, its walls lie crumbled in scattered stone, casting the visitor to imagine what once was a strong structure that cautioned enemies and welcomed its clan. The clan’s second stronghold, Armadale Castle, sits at the heart of a 20,000-acre estate alongside the Isle of Skye’s stunning coastline. Armadale was once home to the MacDonalds of Sleat and was sold in 1971 following the death of Alexander Godfrey MacDonald, 7th Lord MacDonald and High Chief of Clan Donald. The castle is now owned by the Clan Donald Lands Trust, founded by Clan Donald global members and a Scottish registered charity that preserves the clan’s history for future generations. Before many other clans rose to their height of power in the 16th century, Clan Donald was governing the western islands and its seas hundreds of years earlier. The name MacDonald translates to “children of Donald” and was named after Donald, the grandson of the 12th century Gaelic hero and King of the Hebrides, Somerled. The mighty half-Norse and Celtic King Somerled drove out the Vikings from the islands in 1156. Prior to Somerled, the Vikings had dominated Scotland’s west coast through settlements. Despite having fewer men and resources, Somerled captured Viking ships and equipment, established a fleet of smaller ships and out-manoeuvred the Viking longboats. This warrior is credited with inventing the rudder, which he put in the middle of his galleys to give his fleet an advantage. Somerled’s might was noticed by the Scottish King Malcolm IV who tried to expand into the clan’s territory. In 1164, Somerled sailed with 15,000 men to stop Malcolm’s advance. The sea warrior was forced to fight on land where he was killed. After his death, the Kingdom of the Isles was split among his three sons including Reginald, King of the Isles and father of Donald. Under Celtic rule, Clan Donald was divided into branches where a descendant of Donald ruled. The clan chief acted as a father figure to the clan. The clan’s Kingdom of the Isles was seen as a rival to the Scottish Crown until it was incorporated and recognised by Scotland as the Lordship of the Isles in 1263. Until then, Clan Donald was technically vassals of Haakon IV, King of Norway until Alexander III of Scotland defeated the Norwegian king. A generation later, Donald’s grandson and clan chief Angus Og found favour with the legendary Scottish King Robert Bruce — when he first sheltered him at the lowest point of his career and then stood with 5,000 MacDonalds at Bannockburn in 1314. The clan’s loyalty was rewarded with King Robert Bruce proclaiming that Clan Donald would always occupy the honoured position on the right wing of the Scottish army. During this time, the clan built a Celtic parliament, known as the Council of the Isles, at their Islay stronghold where they held court. The great Donald power would start to diminish in the 1400s during two pivotal battles and the loss of its Lord of the Isles title. This would create divisions that transferred more power to its rivals the Scottish monarchy. The Donald clan chief held the title of the Lord of the Isles until 1493 when the Scottish crown declared that the chief forfeit the lordship. The title went to the heir of the Scottish throne, which today sits with HRH the Prince of Wales. The clan weakened due to differing branch clan alliances, religion and geography. The Clan Donald branches started accepting Crown charters, which kept the clan divided and limited any threat to the crown. Fear of Catholicism was widespread and with some Donald branches Catholic, it excluded the clan from power adding further splits in a clan already divided by sea. Known as the greatest Scottish sea battle, this battle was fought between father and son. The Lord of the Isles, John MacDonald, faced a rebellion by his own son, Angus Og. The Lord of the Isles had agreed to assist King Edward IV of England to invade mainland Scotland. Angus disagreed with this decision and wanted to remove his father from leadership. A fierce sea battle turned the waters off the Isle of Mull red. The Lord of the Isles had the backing of Clan MacLean, Clan MacLeod and Clan MacNeil. 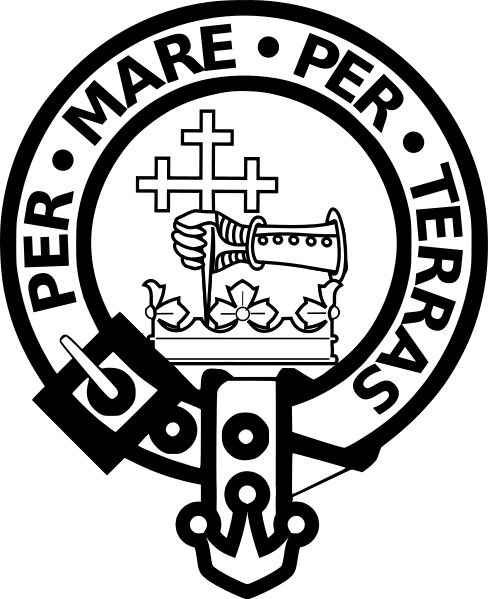 His son’s rebel support included Clan MacDonald of Clanranald and Clan MacDonald of Sleat. Angus won that day but the clan’s naval fleet was cut in half. Angus became the last of the Lord of the Isles when he was murdered 10 years later after the title transferred to the Scottish Crown. Some believe this battle was the beginning of the end to the clan system. The entire population of Eigg was wiped out in 1577 after the MacLeods suffocated to death more than 350 MacDonalds in a cave. This was in retaliation to the MacDonald’s banishing three young men from Eigg after they insulted several women. The men were bound hand and foot and cast to sea in their boat. After the men washed up at Dunvegan, the MacLeod chief sailed to Eigg to avenge his clan members’ treatment. The MacDonalds’ plan to hide almost worked until a MacDonald watchman’s footprints were found and traced back to the cave. The MacDonalds refused to surrender thinking the cave’s narrow entrance would protect them. 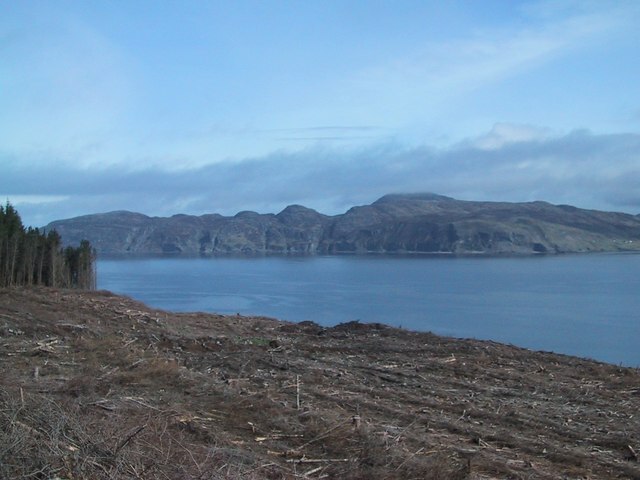 Instead, the MacLeods lit a fire at the cave entrance and the island’s MacDonald population died from smoke inhalation. Known as the Battle of the Spoiling of the Dyke, the feud between the MacLeods of Waternish and the MacDonalds of Uist came to a head in a church on Skye. The MacLeods were attending a service when the MacDonalds landed their fleet of eight ships and set fire to the church. All perished except for one young woman who escaped by window. More MacLeods were alerted by the smoke and flocked to the church. Before the MacDonalds could escape to their boats, they were attacked and killed by the MacLeods. The Crown offered indemnity to all clan chiefs who swore an oath of allegiance before January 1 1692. 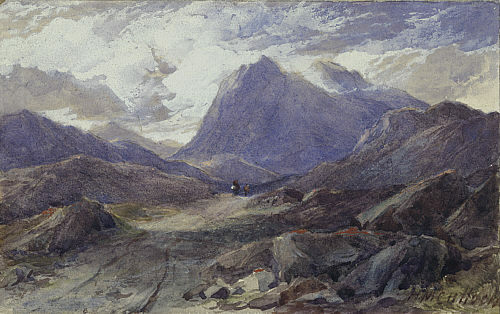 A messenger arrived in Glencoe with the royal news only three days before the deadline. Chief Alexander MacDonald travelled to take the oath, but was detained for a day by his enemies: Campbell soldiers. He was unable to take his oath until the magistrate returned on 6th January. In Edinburgh, the Secretary of State decreed that all MacDonalds under seventy to be killed as punishment. The Campbell soldiers who were housed by the clan for the last 12 days, massacred 38 MacDonalds including the chief. Forty women and children died of exposure after their homes were burned while others escaped. The Clanranald MacDonalds were involved in two Jacobite Uprisings in 1715 (the clan chief died at the Battle of Sheriffmuir) and 1745. Bonnie Prince Charlie landed in Clanranald territory in 1745. The notorious one-hour Battle of Culloden near Inverness was the final confrontation of the Jacobite uprising of 1745, which ended in bloody defeat silencing the hope of a Stuart king. Three MacDonald divisions, including the surviving Glencoe MacDonalds, stood at the left wing of the Jacobite army at Culloden. In the 150 years after the Battle of Culloden, it’s estimated that nearly two million people left Scotland. Many MacDonalds emigrated during this time (the 18th and 19th centuries) to North America and other parts of the world. Being one of the largest clans in existence, with its origins nearly a millennia old, history has referred to both Donald and MacDonald to describe this expansive clan. The name MacDonald (including alternate spellings) was used by anyone whose father’s surname was Donald until surnames became common in Scotland around 1061 by Scottish King Malcolm III. MacDonald appears to be used long before the government required surnames in 1855. In the 1800s and early 1900s, MacDonald was the second most common surname in Scotland (counting both Mac and Mc). 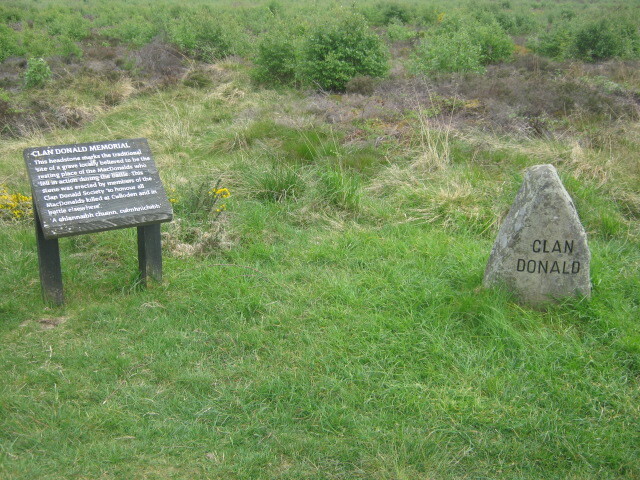 Clan Donald grave marker at the site of the Battle of Culloden. Photo by QuintusPetillius / CC0 1.0. However, the first mention of the clan in the 15th-century Gaelic documents refers to Clann Domhnaill (Clan Donald). These manuscripts described a more inclusive Celtic approach to clans. A member of Clan Donald is anyone associated with and loyal to, but not necessarily a literal descendant of Donald, King of the Isles. In the Kingdom of the Isles, Clan Donald included those who fought and lived alongside Clan Donald. The Clan Donald Society of Edinburgh also backed this view. 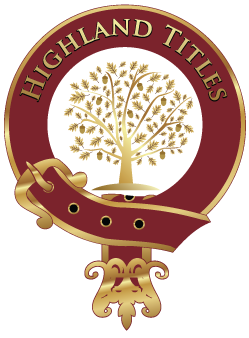 Established in 1891, the society is one of the oldest modern clan organisations and has referred to themselves as Clan Donald ever since it was founded. Under Clan Donald, it acknowledges its many surnames, including MacDonald, McDonald, MacDonell, McConnell, McDaniel and Donaldson. The current Clan Chief is Godfrey James MacDonald of MacDonald, 8th Lord MacDonald. He became high chief of Clan Donald in 1970 and sits on the Board of Trustees of the Clan Donald Lands Trust. A recent scientific study suggests one in four MacDonalds can trace their origins back to the Norse-Celtic warrior king Somerled. Genghis Khan is the only man who has more living descendants. Kelly MacDonald, born in 1976 and raised in Glasgow, is a BAFTA award-winning actress for her role as Carla Jean Moss in No Country for Old Men. She is also known for her role as Diane in the film Trainspotting and the voice of Merida in Pixar’s Brave. As of March 2019, there are over 1,310 plots in the Highland Titles Land Register under the Donald name.